Elizabeth Wyman | Journal Gazette Pelegrin Vargas sets the ball during Friday night’s season-opening match against New Jersey Institute of Technology at the Gates Center. Elizabeth Wyman | Journal Gazette Tony Price serves the ball during a match against NJIT Friday night at the Gates Center. Elizabeth Wyman | Journal Gazette Tony Price flips the ball over the net during a match against NJIT Friday night at the Gates Center. Elizabeth Wyman | Journal Gazette Kolbie Knorr receives a dig during a match against NJIT Friday night at the Gates Center. Elizabeth Wyman | Journal Gazette Richie Diedrich serves the ball during a match against NJIT Friday night at the Gates Center. 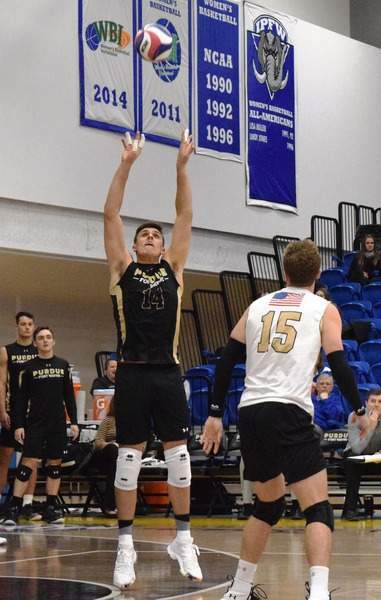 For the past few seasons, the Purdue Fort Wayne men's volleyball team has heard how young it is, but now the 14th-ranked Mastodons have nine upperclassmen and the maturity to match. So when crucial moments arose in the season opener Friday night at the Gates Center, the experience they've gained made the difference as the Mastodons defeated New Jersey Institute of Technology 3-0 (25-17, 26-24, 25-20). Fourth-year coach Ryan Perrotte said it felt good to start the season. Pelegrin Vargas looked to be in midseason form. 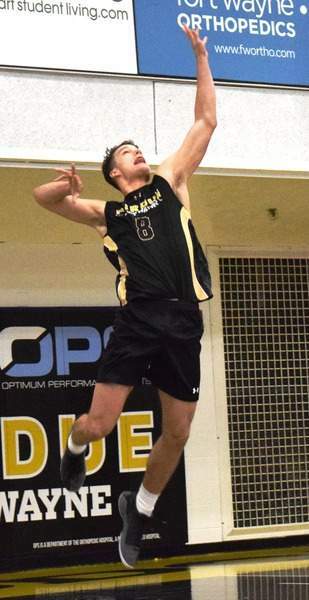 The junior outside hitter took over the second set, scoring five straight PFW points – not off an NJIT error – to set up a winning Tony Price ace. Perrotte said Vargas' play is contagious, and he can settle his teammates down, especially like in the second set when there were 15 ties and momentum can switch with one point. Vargas finished with 14 kills and a .458 attack percentage. He said once the Mastodons were able to take the Highlanders out of their system, the offense picked up. PFW committed 19 service errors, but Perrotte said that aggressive serving is part of its game. “I can live with 16 to 19 service errors because I thought we had some good misses form the service line,” he said. 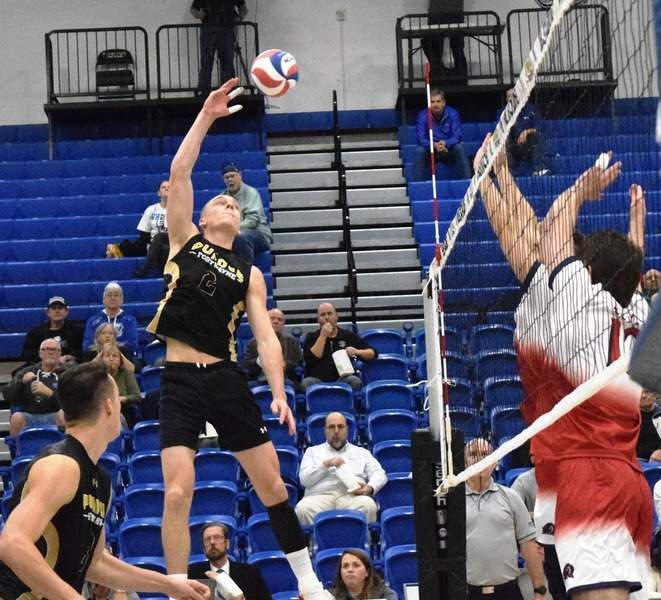 Despite winning by eight in the first set, the Mastodons never ran away with this one, and Diedrich thinks that will benefit the team down the road. PFW plays host to Princeton at 7 p.m. today.